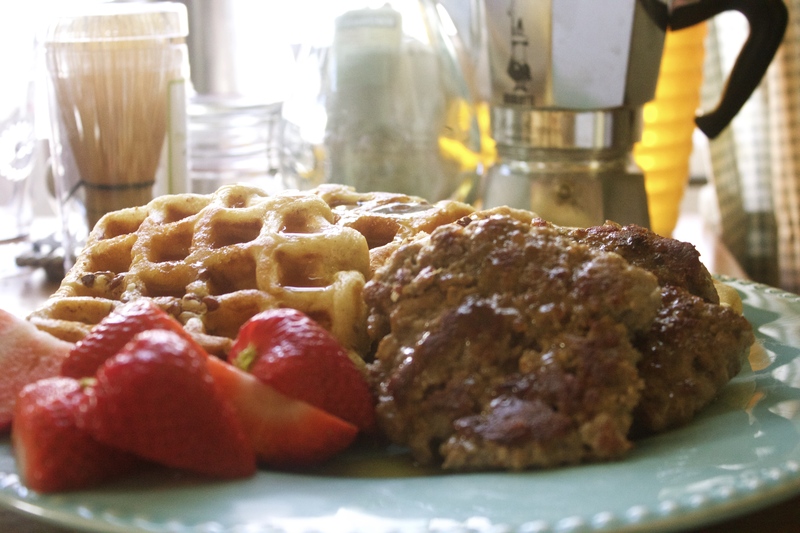 Country sausage (yes from the farm) for Sunday’s Breakfast on a Platter… Fresh organic strawberries and homemade buttermilk pecan waffles… Yum. 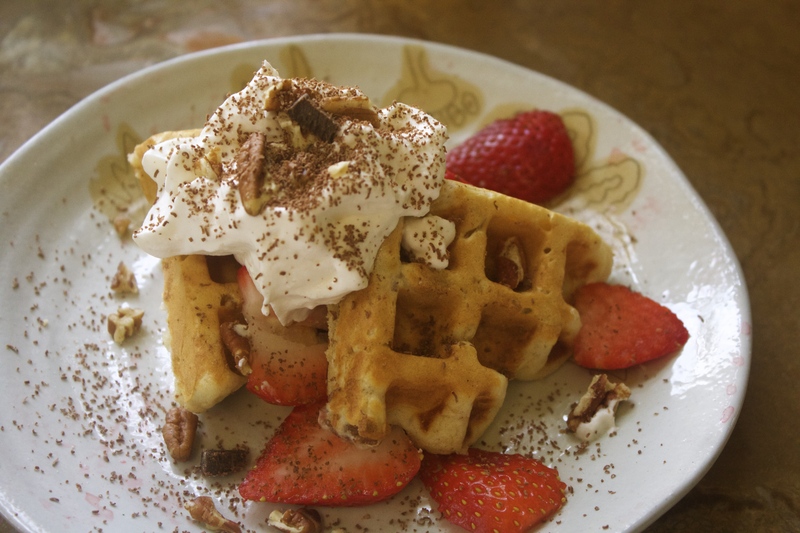 Waste not, want not… There was just enough batter remaining for a “brunch-like” treat. 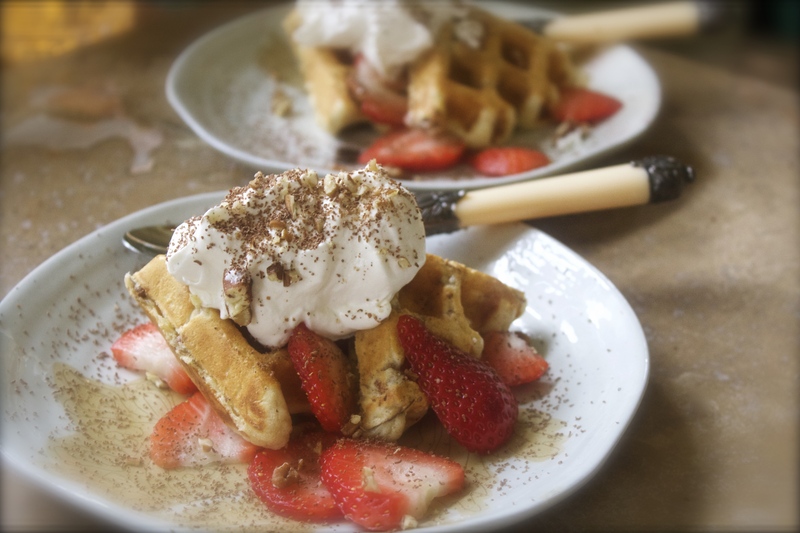 It is snowing chocolate, dark succulent, freshly grated morsels and lovely organic strawberries. 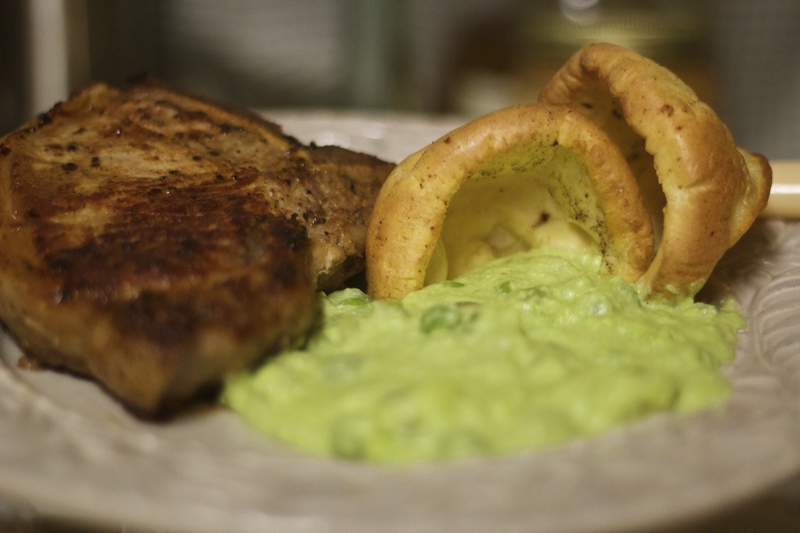 While waiting in the barn, sampling… We ate pork chops from Red Wattle Hogs. Unbelievable! Season with salt and pepper (I freshly ground both). 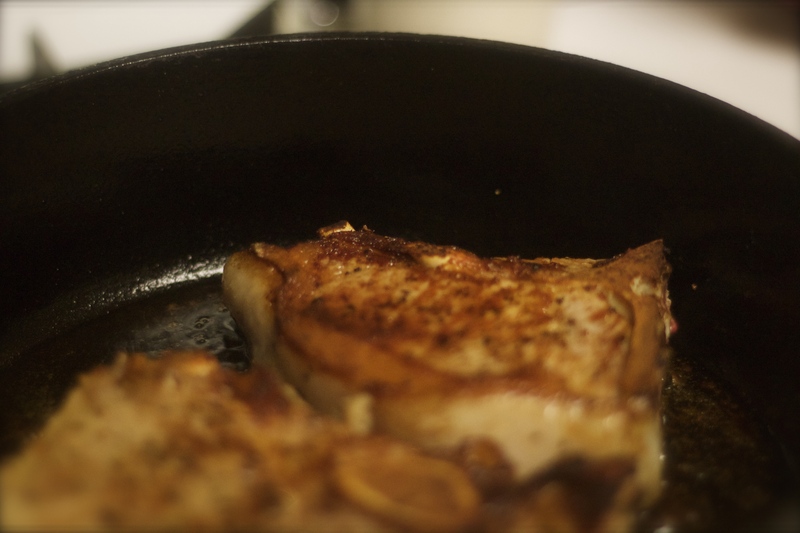 Sear and cook using an oil of your choice (I used EVOO) and a little umami to enhance the savory taste of your chops. 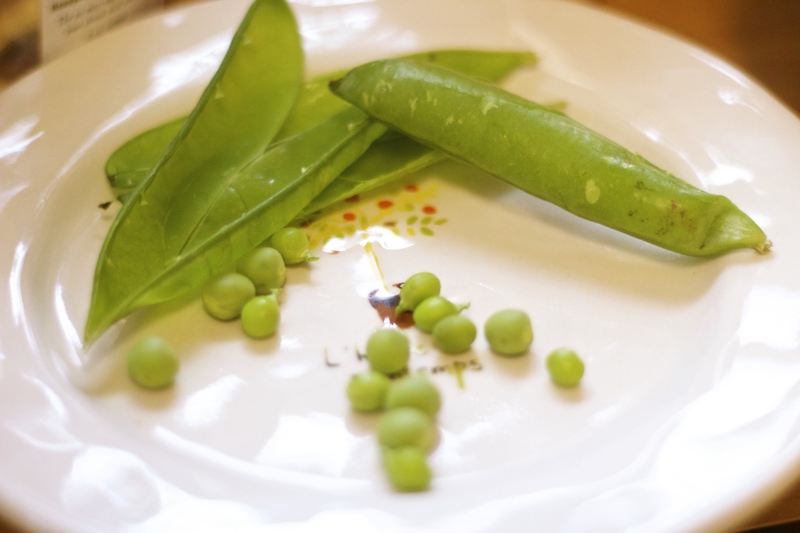 (I chose a high quality soy). After searing both sides, slowly cook until done and don’t overcook. A slight pink is OK.
Spring is in the air!!! 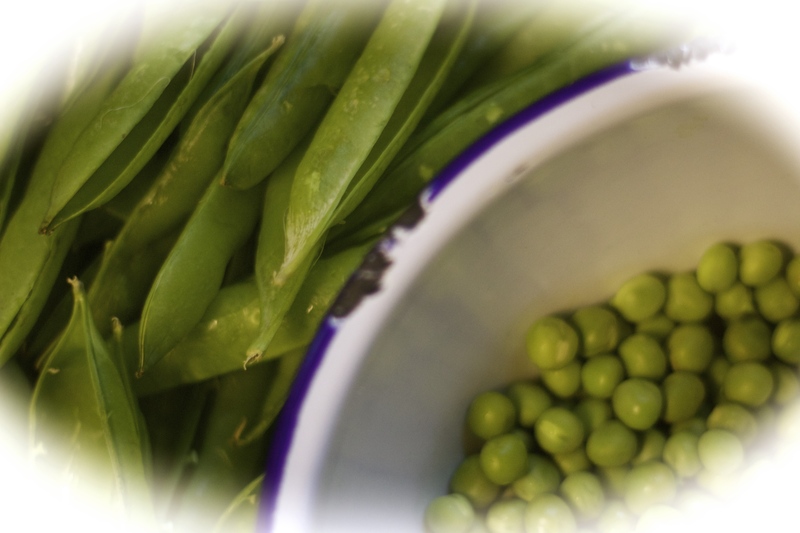 Fresh, organic English peas… There is such beauty in wholesome, fresh food… untainted by the hurriedness of the human race to improve on perfection. 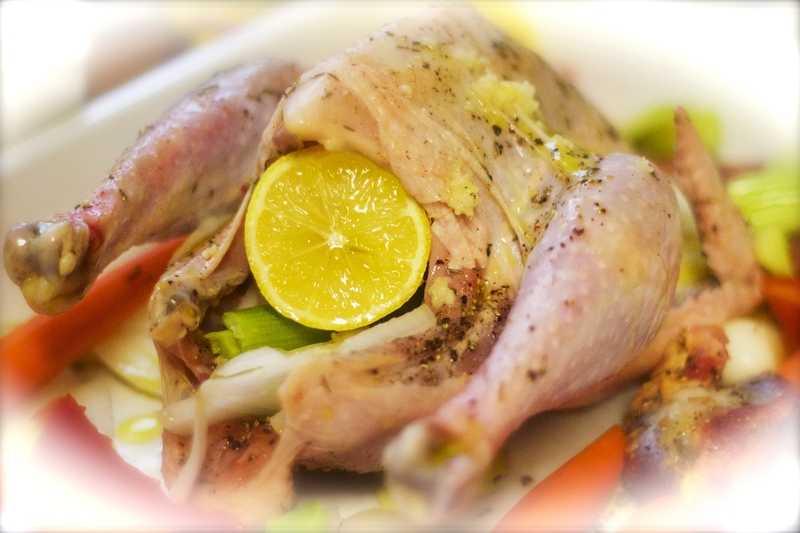 A dressed chicken is ready to finish its course. I do appreciate farmers who go the extra mile to produce good, healthy food. 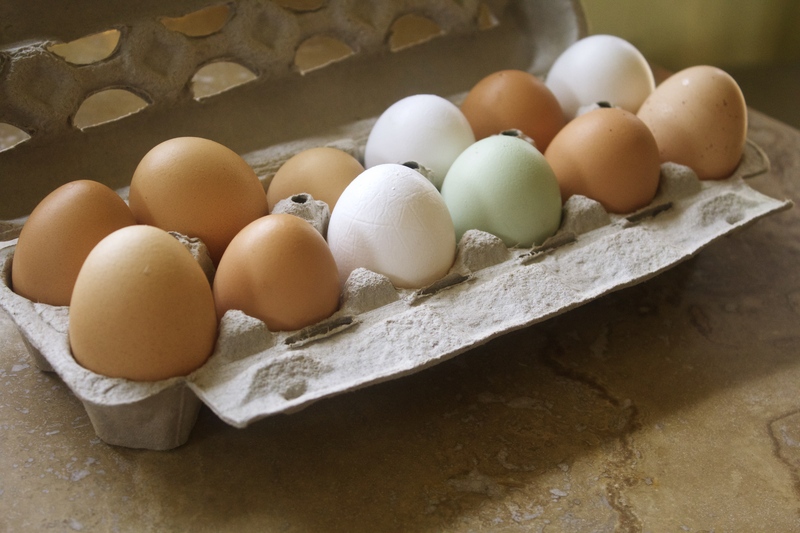 Yes, it costs a little more than what you’ll pay in a grocery store… But my family and I are worth the extra cost, particularly since the trade-off is a healthier body. 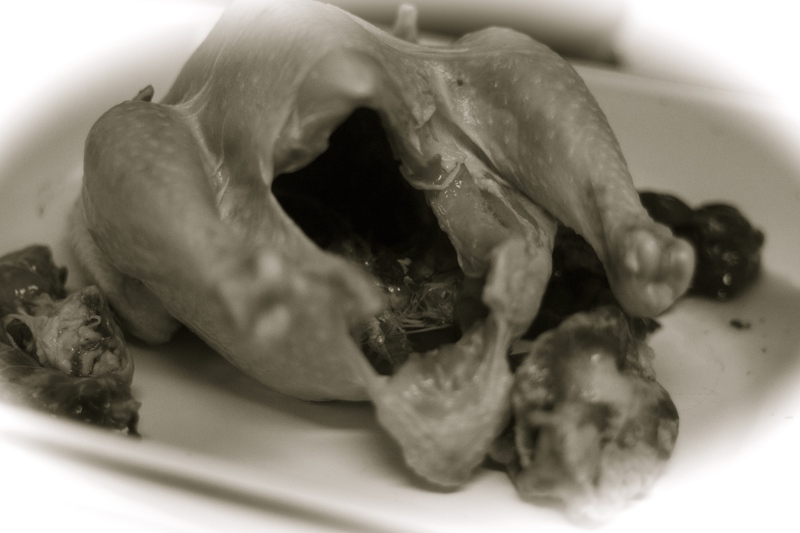 Chicken is one of my least favorite meats (pot roast… the worse). However, give me a chicken fresh off the farm and I just start drooling with anticipation for the promise of what’s to come. 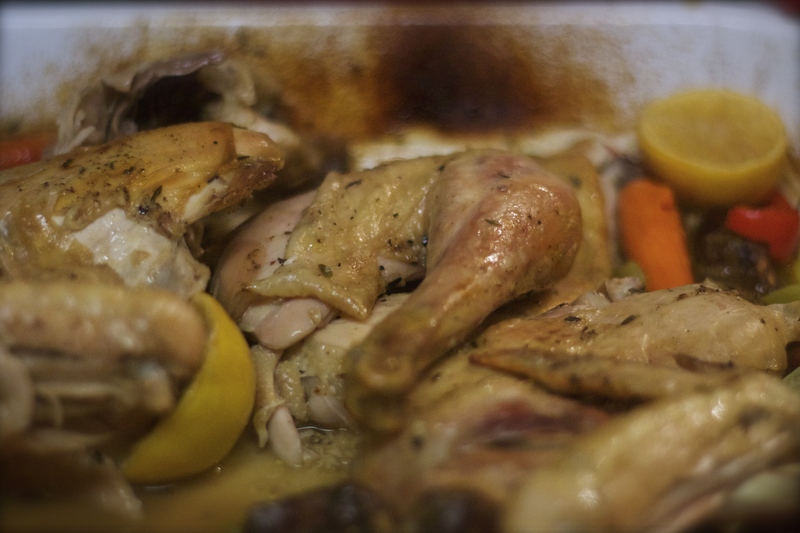 I amazed myself with this chicken… The first bite and I was back on the farm enjoying life… and chicken. 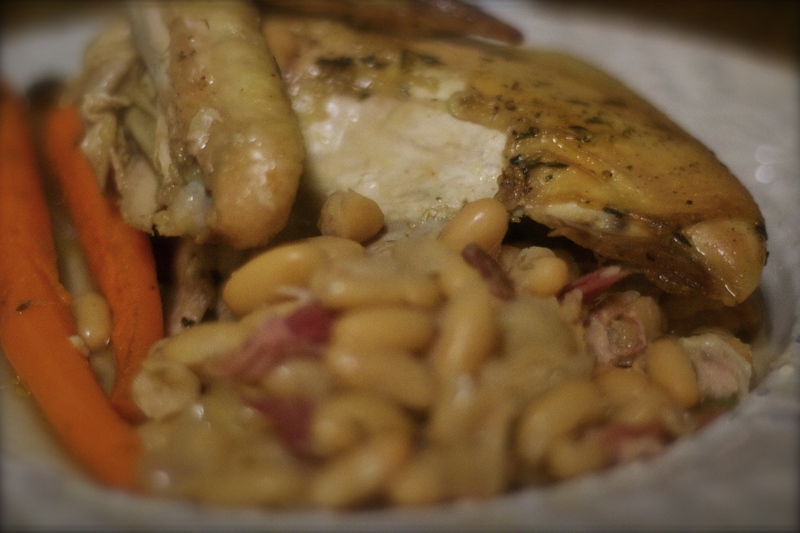 Roasted chicken and veggies with cannellini beans… All is well. I had a busy week in my “TINYKITCHEN”, enlarged this week by the bright lights of Spring on these wonderfully longer days…. The “GREATTASTE” awaiting my family from “Farm to Table” were perfectly timed to heal a slightly wounded, but “BIGHEART”. Wow!!! Everything looks so beautiful and delicious. You are so talented. I love Yorkshire pudding too. When I was a kid, we often had it with our Sunday dinners.